The Rivière Development is a bold new addition to the residential landscape that is revitalizing Melbourne’s Yarra riverbank. Inspired by the manufacturing plants, warehouses and workers' cottages of Abbotsford’s industrial heritage, this beautifully realized development is a synthesis of old and new. The builder, architect and developer (L.U. Simon Builders Pty Ltd and Reg Robins Constructions Pty Ltd, Bruce Henderson Architects (BHA) and Marne Properties respectively) have decades of experience working together and have joined forces yet again to deliver this impressive residential project guaranteeing strong returns and excellent standards of quality. 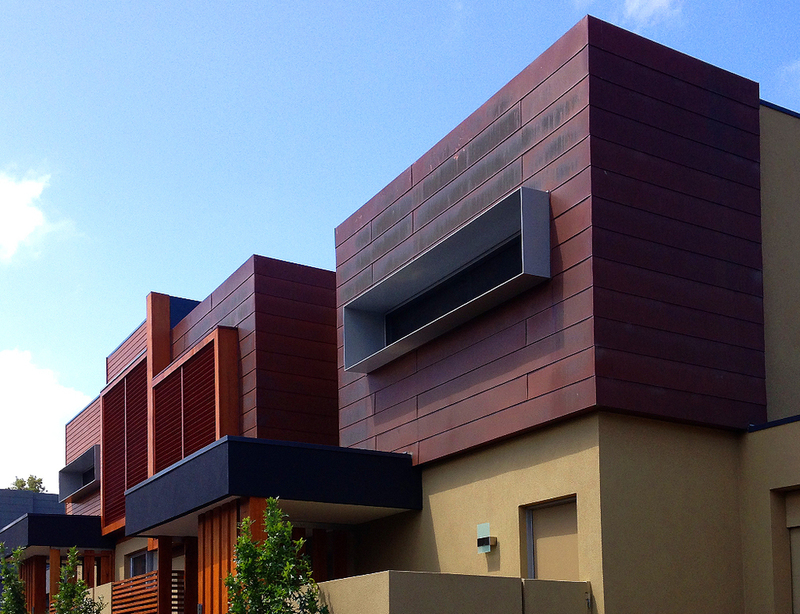 In 2013 Architectural Cladding Australia Pty Ltd has worked as the trusted supplier of Corten® A and PVDF Aluminium custom Interlocking Express and Flat-lock Panels used to clad large façade areas of the different buildings comprising the development. A considerable amount of effort has also been put into designing a special system of cladding using custom Flat-lock Panels for the pillars and beams of the Boiler House and Diamond buildings. The success of this effort was possible thanks to the close collaboration of with L.U. 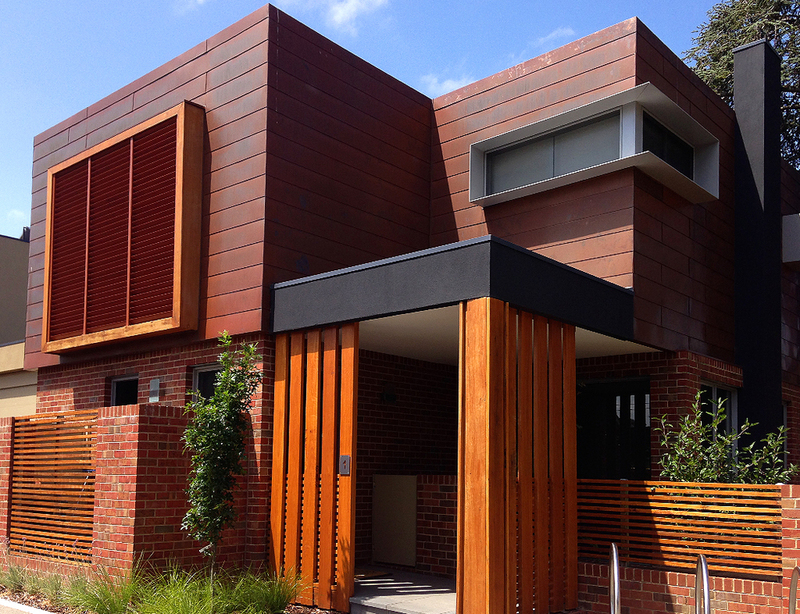 Simon Builders Pty Ltd and Reg Robins Constructions Pty Ltd both in the conception and implementation phases. The photographs below illustrate some of the most challenging moments of the installation and the results! Boiler House Building: Custom Flat-lock Panels were used to clad the columns and beams bordering the balconies of the building. Many of the frames were prefabricated, clad off site and assembled on site as shown. The joints and panel overlaps were carefully planned to ensure maximum waterproofing, resistance to wind pressure and minimum visual impact. The material used is Original Range PVDF Aluminium Satin Black. Diamond Building: Custom Flat-lock panels were especially designed to clad the diagonal and side columns of the building. Cascade Building: the facade modules were clad off site to prefabricated frames and craned into position on site. 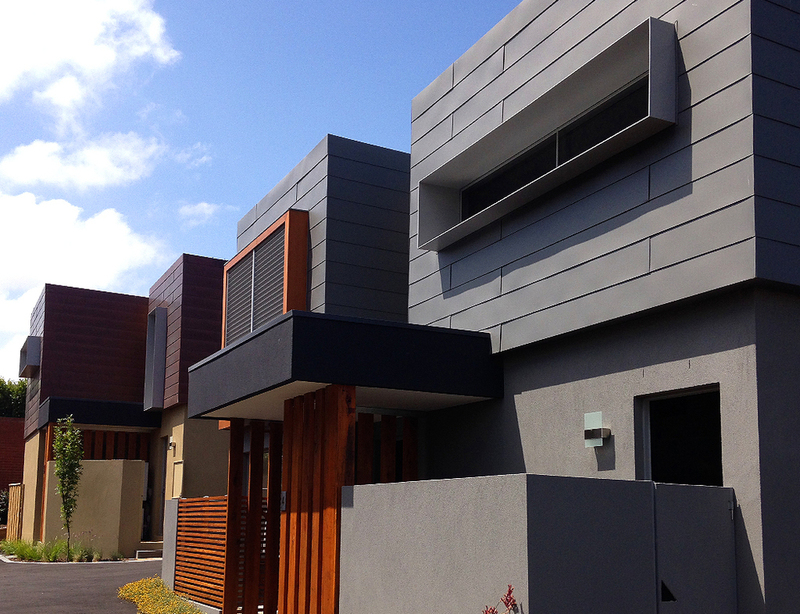 The material used is Original Range PVDF Aluminium Silver Grey, Interlocking Express Panel System. 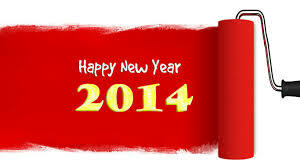 We are glad to announce that we are open as of the 13th of January 2014! 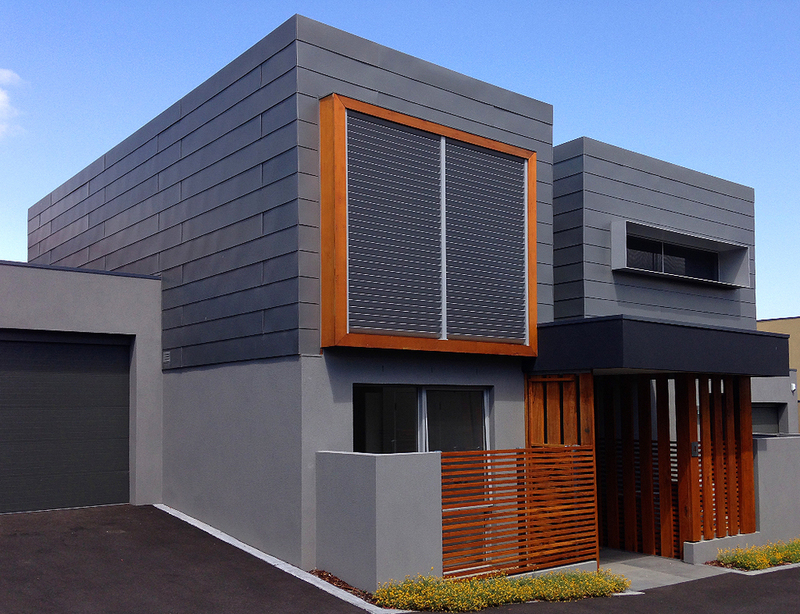 The staff at Architectural Cladding Australia wishes a joyful and prosperous New Year to all our clients and contractors. We are looking forward to working with you on new and exciting projects!